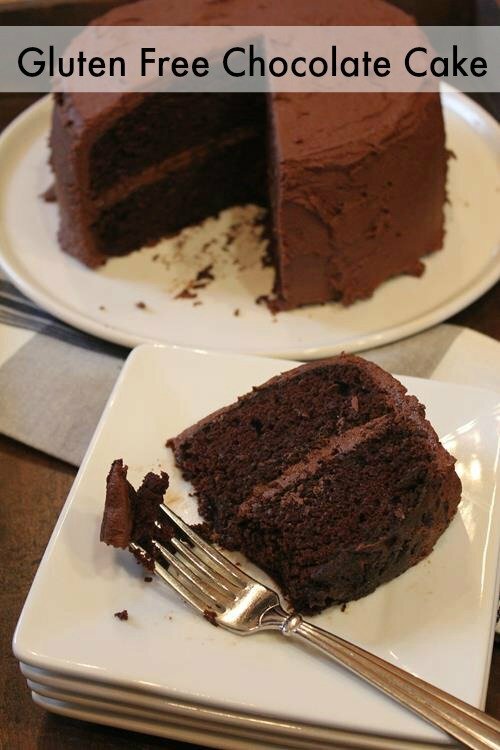 Gluten Free Chocolate Mayonnaise Cake is so moist and delicious that no one will know it is gluten free! Some of you may have read this title and thought mayonnaise in a cake? No thank you! But please stay with me on this one. Chocolate Mayonnaise Cake is actually a recipe that I have wanted to adapt to gluten free for awhile and finally got around to it a few weeks ago. Mayonnaise Cake is a cake that many of our moms and grandmothers used to make. I think they first became popular in the late 1960’s and 1970’s, but it could have been before that. I am not sure why they became popular or who first thought of putting mayonnaise in a cake, but it makes for the most moist and delicious cake. I know it is strange, but the mayonnaise makes the cake amazing. Really it does. This cake as no fat besides the mayonnaise. Well, it does have eggs and other ingredients, that contain fat, but there is not oil or butter in this recipe. Only the mayonnaise. The mayonnaise is the fat. The fact that I have had mayonnaise cake many times, and knew how moist it was, is the main reason that I have wanted to try a gluten free version of it. The fact that my daughter is now eating mainly dairy free is the reason I decided that I had to finally try it. Gluten free dairy free baking can be a challenge, so I was really looking forward to seeing if I could come up with a moist and delicious gluten free dairy free cake. My daughter and I experimented with the flours and what we ended up with was a delicious gluten free dairy free chocolate cake. 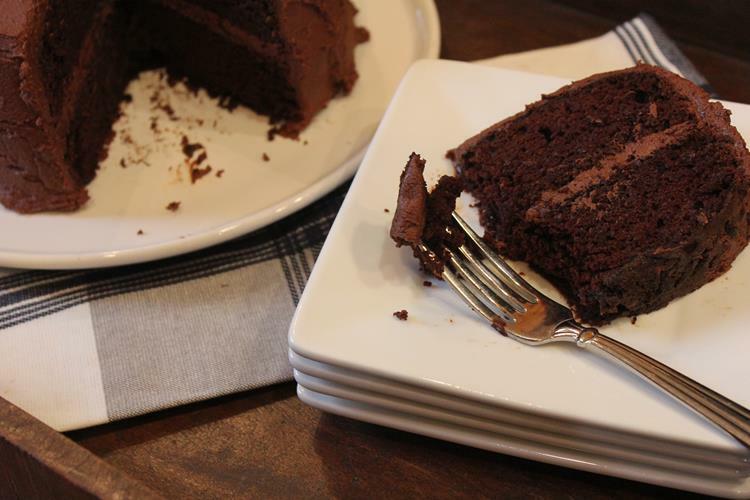 This cake is now my favorite gluten free chocolate cake. Don’t let the dairy free part deter you from making it. It is a delicious cake that just happens to be dairy free. And don’t let the mayonnaise stop you from making this either. The mayonnaise truly is what gives this that moist and delicious taste and texture that makes it so good! This is a must try cake! Gluten Free Chocolate Mayonnaise Cake is a gluten free cake that is so good no one will know it is gluten free! Grease and flour 2- 9 inch round pans. Set aside. In a medium bowl combine rice flours, cornstarch, xanthan gum, cocoa, baking soda, and baking powder. Set aside. In a bowl using a mixer, beat eggs, sugar, and vanilla until well combined. About 3 minutes. Add ⅓ of the flour mixture. Mix just until combined. Add half of the water and mix just until combined. Add remaining and flour alternating between flour and water. End with flour mixture. Spread batter evenly between the two prepared pans. Bake for 30 minutes or until toothpick inserted into the center comes out clean. This post linked up to Southern Plate’s Meal Plan Monday! This cake looks great. I hope to make it soon but, I was wondering what brand of sweet rice flour do you use?I have used a Thai brand and the Blue Star brand which I do prefer. I had a bad experience with the Thai brand I purchased once it had bugs in it but it may have been the store I purchased from. I have not tried Bob Red mills or EnerG and I think Authentic foods is too pricy. Just wondering if you have a preference of one over the other? When I first went gluten free I used the Asian brands and I liked them, but found that it really varied with brands and even with each bag. I could not get consistent results using them. So I switched to Bob’s Red Mill sweet rice and I love it. It is my favorite sweet rice flour. I have used Authentic Foods and it is a little more fine of a flour, but I did not find the results any different and don’t think it is worth the extra price. I usually buy my sweet rice flour from amazon. I buy a case of it, which is four bags, and the price is better than what I can find in my area for it. Sweet rice flours is one of those things that is a bit expensive in gluten free cooking, but I really think it is worth it because you get better results with certain things like desserts. I notice you don’t use any starch in this? I have Better Batter all purpose flour and wonder if that would work? The cornstarch is the starch in this cake. I have not tried it with Better Batter, but since this is a really moist cake, it would probably work fine with a blend. I just haven’t tried it. If you try it with Better Batter I would love to hear how it works. Wondering if you could make this with Bobs Red Mill 1:1 flour in place of the flours and xantham? Anyone tried it? I have not tried it, but that is my favorite blend to use if I am going to use a blend. So I would say if any blend would work, it would probably be that one. If you try it I would love to hear how it turns out. Agreed! I would love a dairy free chocolate frosting recipe to go on the cake! 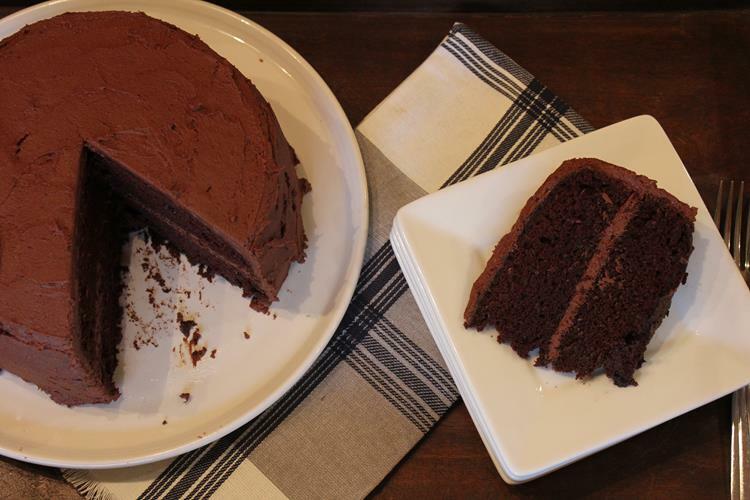 Thank you for converting this to Gluten Free.. Ive made traditional Chocolate Mayonnaise Cake.. in fact was always on a look out for recipes for it since my mom lost her recipe….and now I cant wait to try yours! If its anything like the ones I used to make its going to be awesome! Thank you. I hope you enjoy it! We love it. 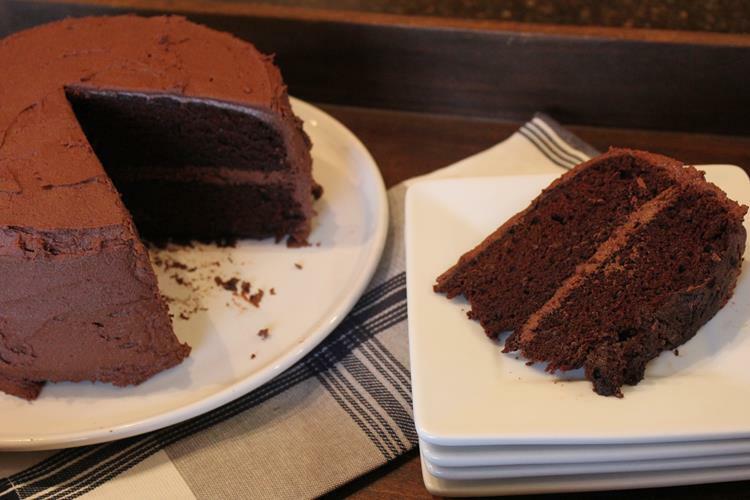 It is so moist and delicious you really can’t tell that it is gluten free! This cake appears to have a good rise to it . It would also work as a 9×13..right? I will need to try this soon. I hate the sad flat looking GF cakes. Yes it works well as a 9×13 cake. We have made it in a 9×13 pan, as cupcakes, and as a bundt cake. All work well. I hope you enjoy it. Has anyone tried to substitute the sugar for Splenda or trivia? This recipe turned out amazing! I use my own GF flour blend with many different flours but seems to work well with everything, and I subbed milk for the water. The cake is sooooo moist and fluffy. Like the super moist versions from the grocery store. This will be my new go to cake recipe. Thank you a million times over. I am so glad that you enjoyed it! Thank you so much for letting me know. I love helping people make gluten free easy and delicious, so I love hearing that it turned out so well. Have a great day!